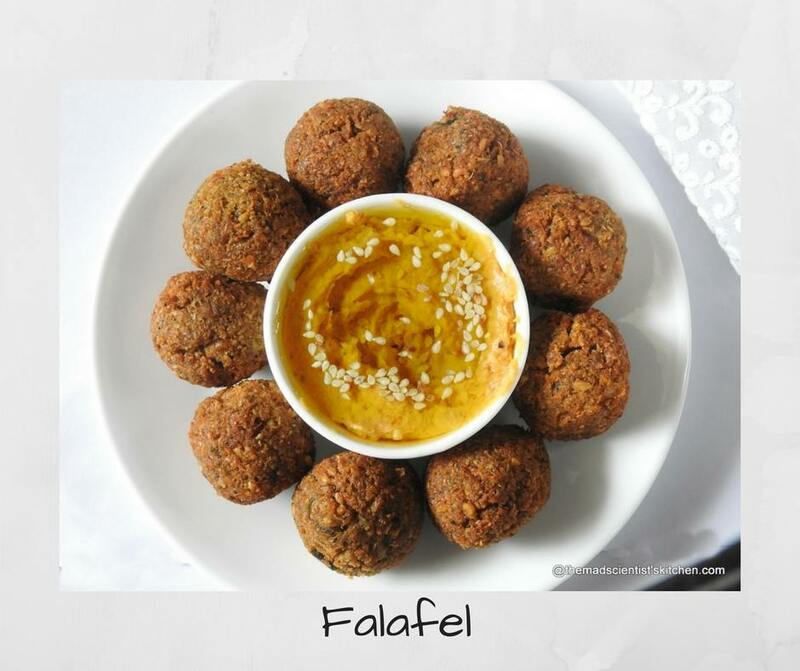 Falafel made in the traditional way is a great vegan dish and a great source of protein. 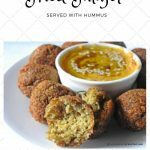 Fried falafel fritters go well with hummus and tahini sauce or with toum, a Middle Eastern garlic sauce. Apparently stuffing the falafel in pita pockets was an idea of Yemenite Jewish immigrants to Israel and is it a wonder that these sandwiches are the top fast food in Israel? On our trip to Israel this July, the girls wanted to eat falafel and shawarma. However, the trip was such that there was no way we could. Hence, the girls were quite disappointed. The day we went to Jerusalem the gap between breakfast and lunch was so big that our guide, Golan agreed and we had a snack. We were to eat falafel pita but the girls managed to get in an order for chicken shawarma. They were on cloud 9! The best part for me was that Golan arranged for me to see the shop and assembly of the falafel pita inside the shop. He translated back and forth apparently the shop on an average sells 200 pitas and all the pita are made at by them. A falafel is crispy on the outside, hot and fluffy on the inside. is what the owner of the shop said. How I wish I could see where they made pita and how they made them! In Egypt and Arab counties, falafel is made from fava beans but in Israel, falafel is made from chickpeas. To make falafel you need to soak chickpeas but not cook them. Do not worry when you fry them you do cook them. The night before you plan to make falafel soak the chickpeas. The chickpeas will swell and you will have 4 -5 cups of beans after soaking. Transfer to the food processor with the chopped onion, garlic cloves, parsley, besan, salt, cumin, ground coriander, black pepper, red chilli powder. Pulse all ingredients; scrape the sides of the processor until you get a rough, coarse mixture. The texture should not be a smooth paste and or too coarse. When you press the mixture, it should form a ball. Transfer to a bowl and remove any large chunks if missed by the food processor. You have two options either cover the bowl with plastic wrap and refrigerate for 1-2 hours or add baking soda and deep fry. In case even after refrigeration, you want to add baking soda dissolve 2 tsp of baking soda in 1 tbsp of water and mix it into the falafel mixture. Heat a kadhai/wok with oil. I use rice bran oil. Wet your hands form round balls of the falafel mixture. The size of the balls is your personal choice and can be small or large. The balls will stick together loosely at first but will bind nicely once they begin to fry. Before you start frying test check with one first ball. In case the oil is hot enough the balls will brown on one side in 3 minutes, turn and cook on the other side it should take another 3 minutes. If the falafel cooks faster cool the oil as your oil is hot. Fry with 4-5 at a time until fried on both sides. Drain the falafel with a slotted spoon transfer to a plate lined with an absorbent paper. 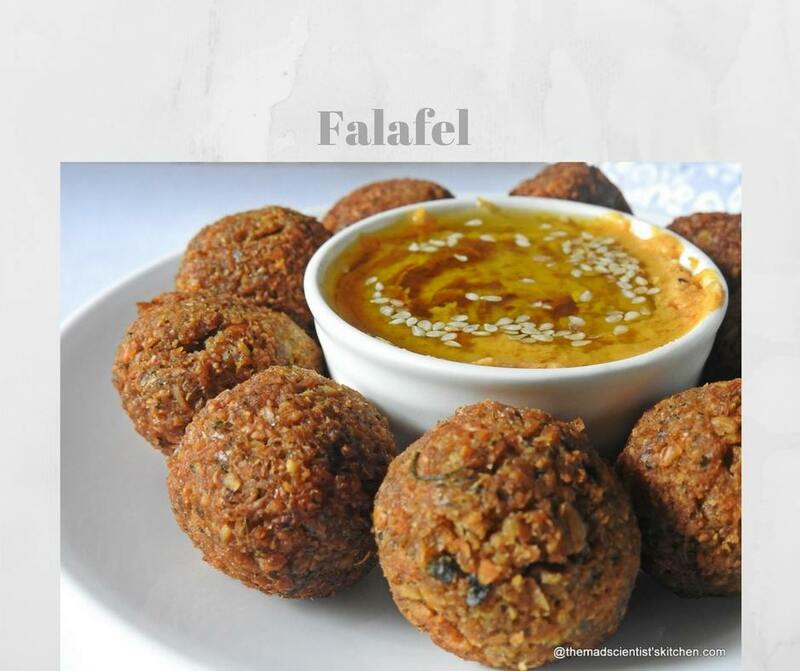 Serve the falafels fresh and hot with a plate of hummus and topped with creamy tahini sauce. You can also stuff them into a pita. If the raw mixture does not hold in the hot oil, reprocess the mixture in the processor and make it more paste-like. If they still do not hold together, you can try adding 2-3 tbsp of flour or chickpea flour to the mixture. If they still do not hold, add 1-2 eggs to the mix. This should fix any issues you are having. If your falafel is too hard/too crunchy on the outside, there are two possible reasons– 1) you didn’t process the mixture enough– return the chickpea mixture to the processor to make it more paste-like. 2) The chickpeas you used were old. Try buying a fresher batch of dried chickpeas next time. Vegan and protein-rich food falafel taste great in a pita and by itself too. If your falafel is too hard/too crunchy on the outside, there are two possible reasons 1) you didn't process the mixture enough-- return the chickpea mixture to the processor to make it more paste-like. 2) The chickpeas you used were old. Try buying a fresher batch of dried chickpeas next time. 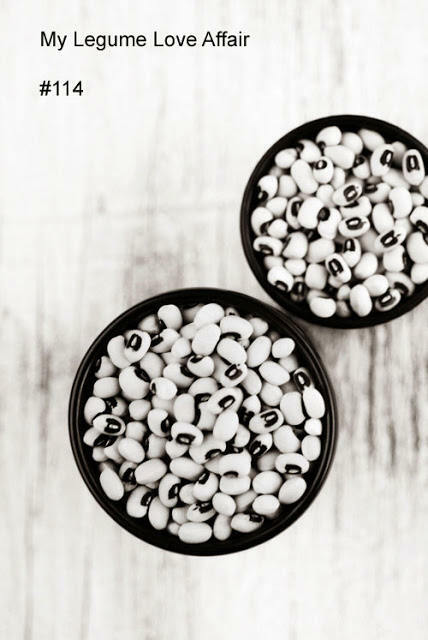 Linking to My Legume Love Affair was started by Susan from The Well Seasoned Cook and is now hosted by Lisa from Lisa’s Kitchen. This edition is hosted by the VegHog. looks great Arch 🙂 I have a version coming up soon ! 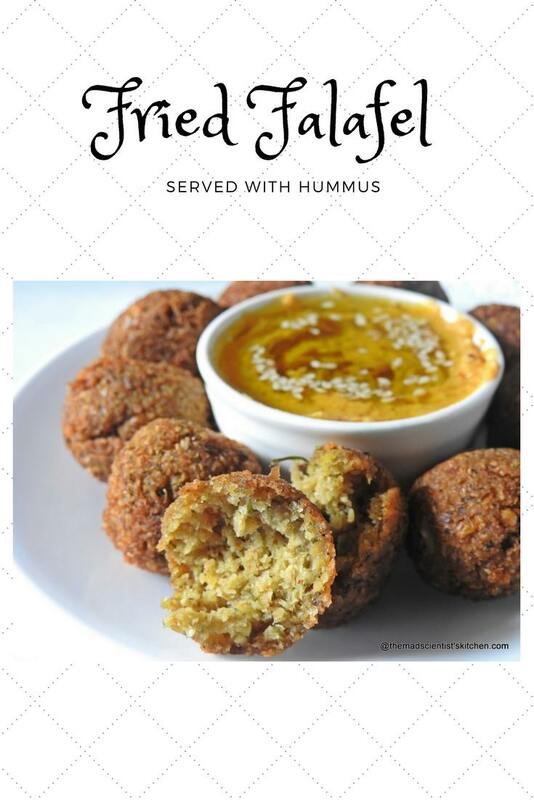 These look so good, I just love falafel! Thank you for sharing with MLLA! Awesome recipe and photos to go along with it!!! !